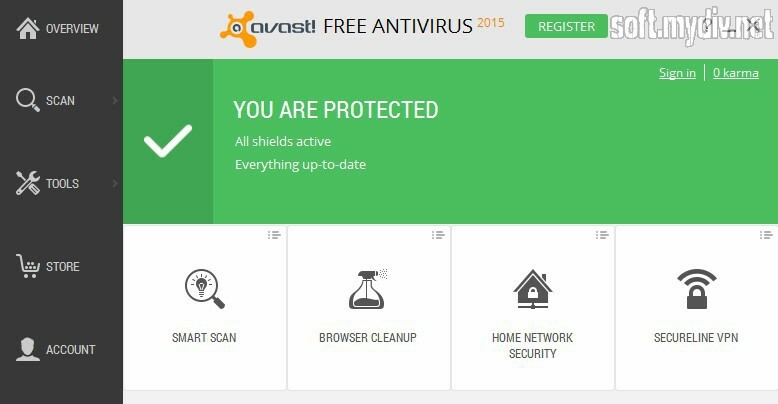 Avast Free Antivirus is one of the best security solutions among free antiviruses. It provides basic antivirus performance along with online and system file protection. There are 5 types of scan and 3 main shields. Smart scanning mode will automatically start up at first launch of the program. You can also set launching of the smart scan in the system to autoload to make sure that your memory is not infected. 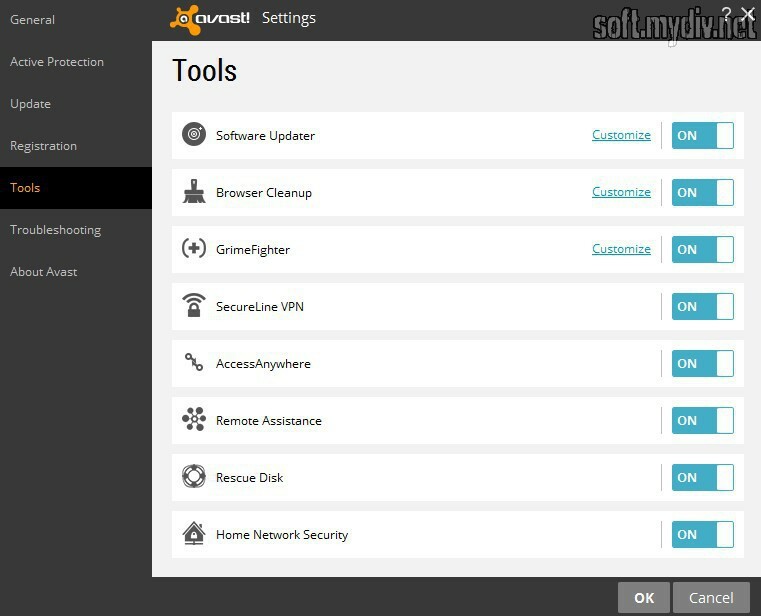 Software Updater is another free function that tracks old version of utilities on your PC. You can push ‘Update’ button or ignore it. 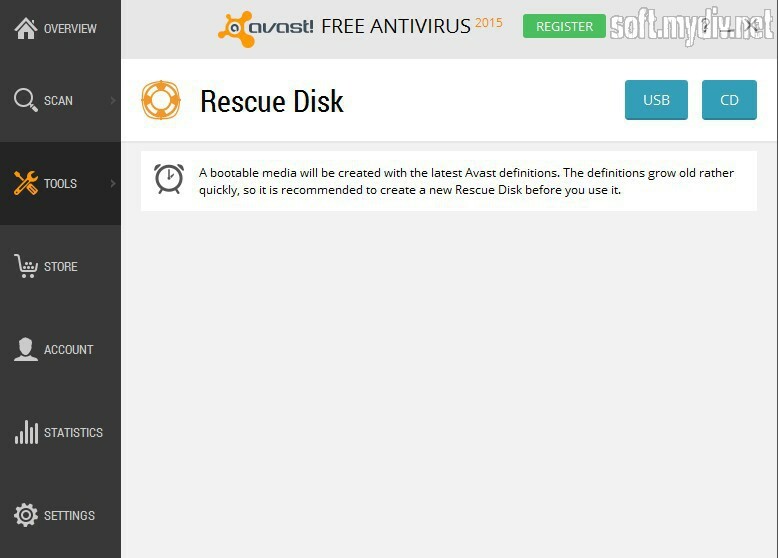 Rescue Disk tool will help you to keep your data in safe. And GrimeFighter will show you all systems troubleshooting and offer to tweak it up. You’ll get free access to daily updates. But at first, you should register on the official website of utility. It allows feeling more comfortable in contrast to using trial 30-days version. 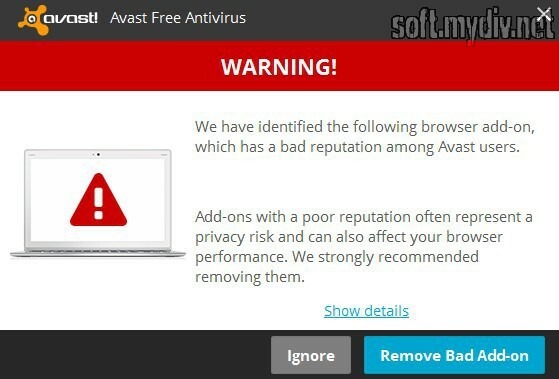 Avast is the well-known brand of websurfers. It serves as a guarantee of your computer protection. Of course, it’s not a silver bullet against all of the online or offline threats. It’s just stable and good software for your system. 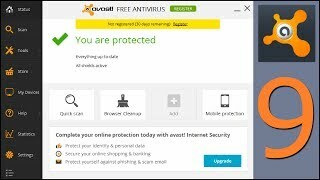 If you want to have malware, malicious toolbars, exploits, and spyware detector for free, you should try this antivirus. There are also paid options in an advanced version for business such as an integrated firewall or mobile integration (Remote Assistance). You can manage and use your smartphone or tablet via PC. 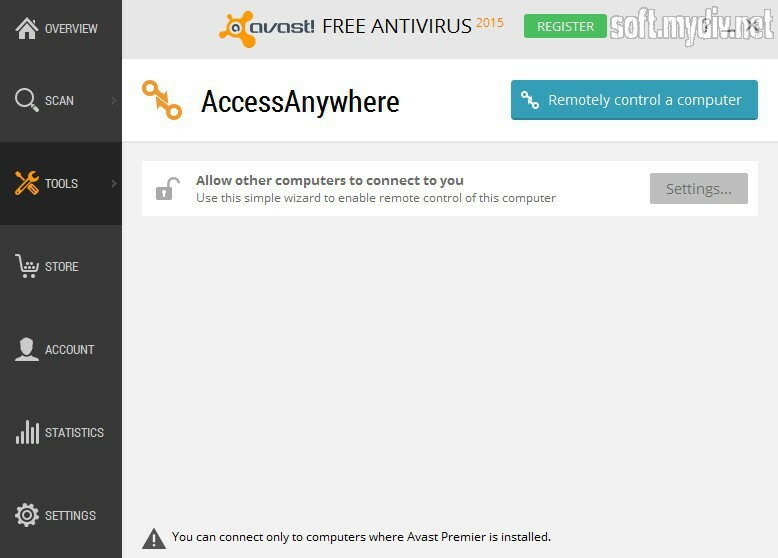 This program is not a just free antivirus. It’s a networking service that provides different security options and additional functionality. 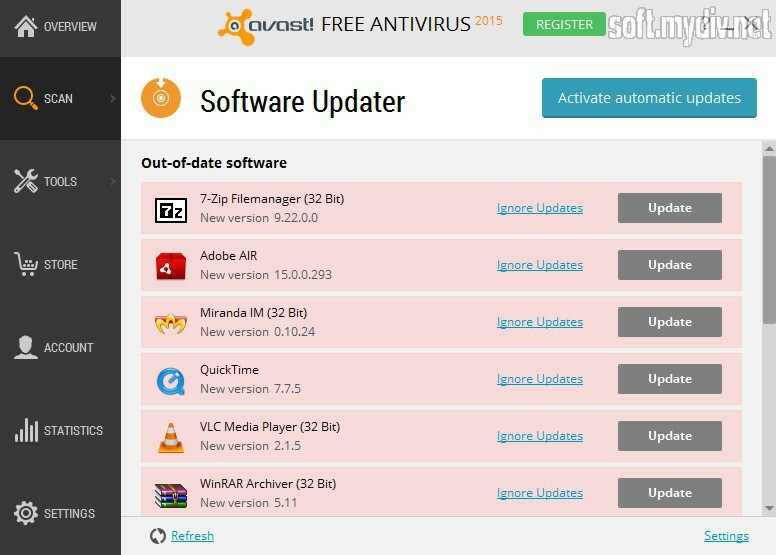 If you want a light and quick antivirus software, you should pay attention to it. Defend your mail, file system and web browsers. Make a safe VPN connection. Clean up your browser to avoid dangerous extensions and web tools. Make a rescue disk to restore your system. Manage your mobile devices via PC. There is Windows XP support. It's a trial version for 30 days. But you can register an account to use it free without restrictions. Fixed an issue with slowing down a system during installation. Fixed a bug caused unavailability to install another language.